Tickets will begin to go on sale on Tuesday, April 3. Ticket sales will end Friday, April 6 at 5:30pm. In order to purchase prom tickets, students must submit the Prom Permission Form, Prom Date Request Form (if bringing a non-DCHS student or non-student), copy of school ID (or photo id for non-students), and payment (no cash - check or money order only). ALL PAPERWORK IS AVAILABLE TO DOWNLOAD ON THE BOTTOM OF THIS PAGE! During the ticket sale process, students will submit their packets in the field house. Each packet should include EVERYONE from your table's information and payment. Buses and tables will be assigned in the order packets are received. 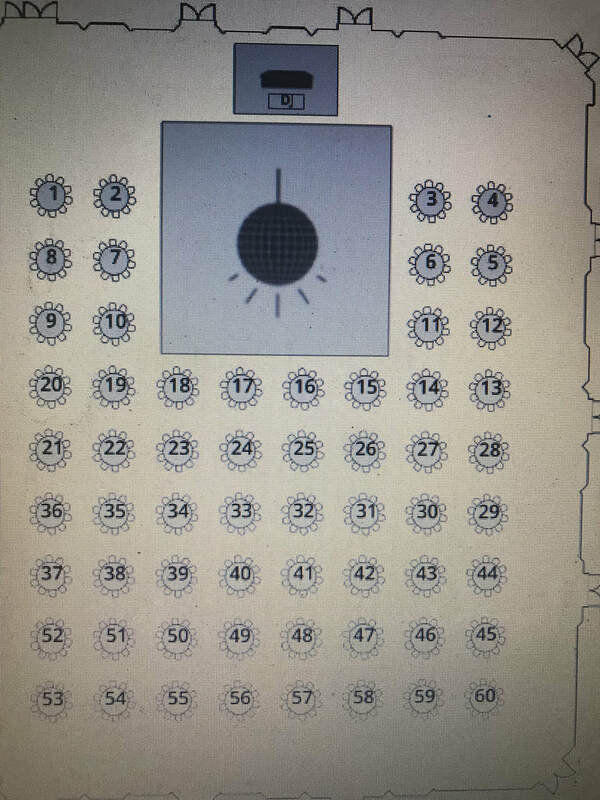 Below is the room layout of tables (Coming Soon). You must select your preferred tables and put them on your information sheet. There is a maximum capacity of 540 students allowed to attend. We have sold out for the past three years, please prepare for this possibility. Students should simply understand that they cannot count on tickets being available after the first ticket sales date. See Ms. Baker with any questions or concerns. If you already know who you want to sit with, prepare all of the necessary paperwork together. Each table accommodates 10 students and must be completely filled. Spots at tables CANNOT be saved and will be given away to those purchasing before you. Plan on turning in your paperwork and payment early to secure your spot! Tables and buses will be assigned in order of purchase! If you have any questions about purchasing Prom Tickets, please contact Ms. Debbie Baker at (224) 484 - 5206 or deborah.baker@d300.org.